vGPU is changing the VDI game – how can you prepare? It’s not exactly a secret that planning a VDI deployment involves a lot of work, but one aspect of the planning process that is easy to overlook is the vGPU. 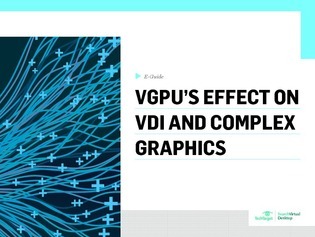 This exclusive e-guide details how virtualized GPU technology is impacting VDI deployments and changing the way complex graphics are delivered to virtual desktops. Read on and learn the different options available for virtual GPUs and how to select one based on your virtual desktop needs to drive the most business success.